Kalipada Pahan, PhD, a researcher at Rush University and the Jesse Brown VA Medical Center in Chicago, has found that cinnamon improved performance of mice in a maze test. Pahan’s research shows that the effect appears to be due mainly to sodium benzoate, a chemical produced as cinnamon is broken down in the body. Food makers use a synthetic form of it as a preservative. It is also an FDA-approved drug used to treat hyperammonemia — too much ammonia in the blood. Though some health concerns exist regarding sodium benzoate, most experts agree it’s perfectly safe in the amounts generally consumed. One reassuring point is that it’s water-soluble and easily excreted in the urine. Those changes in the hippocampus—the brain’s main memory center—appear to be the mechanism by which cinnamon and sodium benzoate exert their benefits. In their study, Pahan’s group first tested mice in mazes to separate the good and poor learners. Good learners made fewer wrong turns and took less time to find food. In analyzing baseline disparities between the good and poor learners, Pahan’s team found differences in two brain proteins. The gap was all but erased when cinnamon was given. The researchers also examined brain cells taken from the mice. They found that sodium benzoate enhanced the structural integrity of the dendrites, the tree-like extensions of neurons that enable them to communicate with other brain cells. 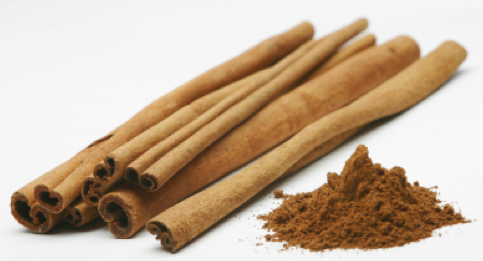 But the U.S. National Center for Complementary and Integrative Health says that “high-quality clinical evidence to support the use of cinnamon for any medical condition is generally lacking.” Most of the clinical trials that have taken place have focused on the spice’s possible effect on blood sugar for people with diabetes. Little if any clinical research has been done on the spice’s possible brain-boosting properties. Pahan hopes to change that. Based on the promising results from his group’s preclinical studies, he believes that “besides general memory improvement, cinnamon may target Alzheimer’s disease, mild cognitive impairment [a precursor to Alzheimer's], and Parkinson’s disease as well.” He is now talking with neurologists about planning a clinical trial on Alzheimer’s. But Pahan warns that most cinnamon found in the store is the Chinese variety, which contains a compound called coumarin that may be toxic to the liver in high amounts. A person would likely have to eat tons of cinnamon to run into a problem, but just the same, Pahan recommends the Ceylon or Sri Lanka type, which is coumarin-free. As for himself, Pahan isn’t waiting for clinical trials. He takes about a teaspoonful—about 3.5 grams—of cinnamon powder mixed with honey as a supplement every night. Pahan’s study was funded by VA, the National Institutes of Health, and the Alzheimer’s Association. This study underlines the importance of cinnamon, a commonly used natural spice and flavoring material, and its metabolite sodium benzoate (NaB) in converting poor learning mice to good learning ones. NaB, but not sodium formate, was found to upregulate plasticity-related molecules, stimulate NMDA- and AMPA-sensitive calcium influx and increase of spine density in cultured hippocampal neurons. NaB induced the activation of CREB in hippocampal neurons via protein kinase A (PKA), which was responsible for the upregulation of plasticity-related molecules. Finally, spatial memory consolidation-induced activation of CREB and expression of different plasticity-related molecules were less in the hippocampus of poor learning mice as compared to good learning ones. However, oral treatment of cinnamon and NaB increased spatial memory consolidation-induced activation of CREB and expression of plasticity-related molecules in the hippocampus of poor-learning mice and converted poor learners into good learners. These results describe a novel property of cinnamon in switching poor learners to good learners via stimulating hippocampal plasticity.